Everyone at Soomo is so excited because we won an Emmy for best Informational or Instructional Program! At the 27th Annual MidSouth Emmy Awards. 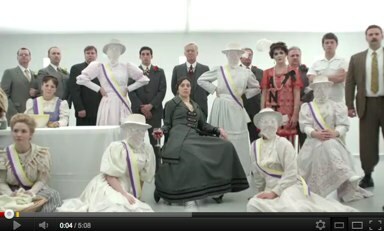 Soomo brought home the award for our music video Bad Romance: Women’s Suffrage. Created for Soomo’s American government webtext, the video is currently featured in assignments that are part of two Soomo Publishing titles: Central Ideas in American Government and A History of The United States, 1865 – Present . Attention Soomo Political Science professors! It's getting to be that time of the semester again, time for bobbles! This semester's bobblehead is President Lincoln, which seems appropriate given that it's the 150th anniversary of the Emancipation Proclamation this year and his movie got 12 Oscar nominations. At Soomo, we're loving this Vanity Fair article about what it's like to be President of the United States. 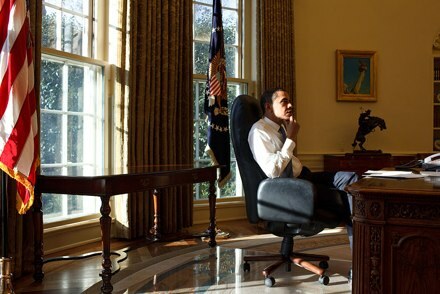 To write the piece, the über-talented Michael Lewis (Moneyball and The Blind Side) spent six months following President Obama as he went about his daily work. Not surprisingly, decisions feature prominently in the president's day, and in an NPR interview, Lewis provides additional information about how the president copes with decision fatigue. 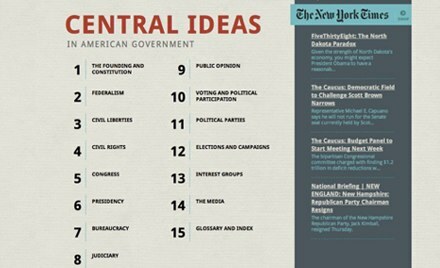 Since many of you may still be considering which text you want to use this fall for your American Government classes, we want to let you know what professors and students are saying about our webtext, Central Ideas in American Government. Below are listed just a few peer review and student survey comments from last fall. If you would like more survey data, just drop us a line. Teaching Intro to American Government This Year? "The style of writing makes it easy to comprehend the material in each chapter." It's finally here! Soomo Publishing is pleased to announce the release of the world's first webtext for political science: Central Ideas In American Government.